It's good to know the right people during the holidays! 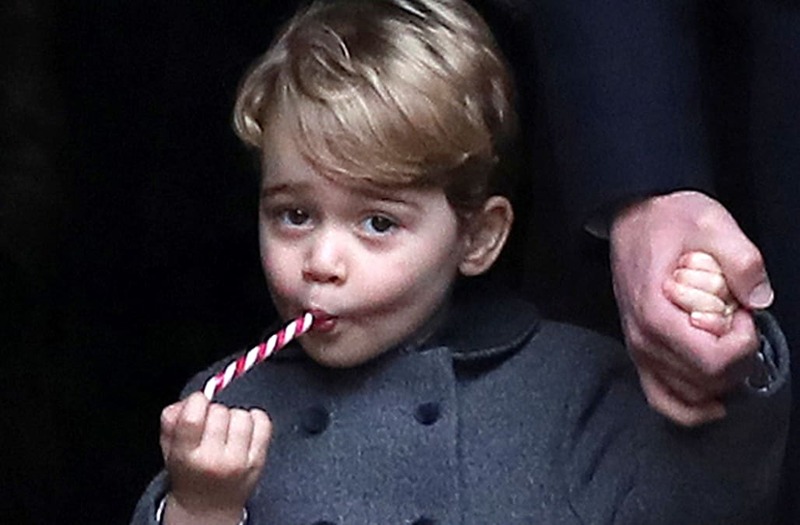 Lucky Prince George got his Christmas wishlist personally handed to Santa Claus by none other than his dad, Prince William. 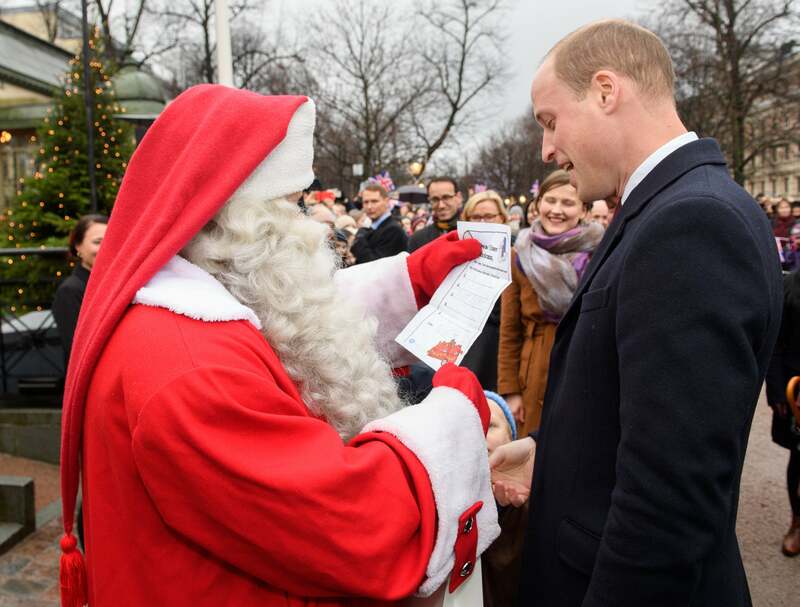 During his royal visit to Finland, William, 35, bumped in to Kris Kringle while walking through Helsinki's Esplanade Park on Thursday, and he knew he had to hand over the very special note from his son. 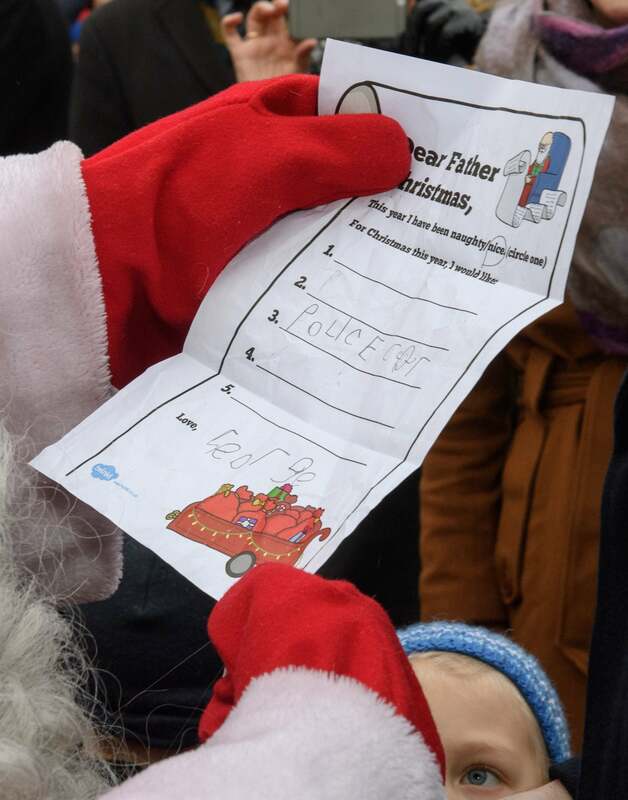 George wasn't greedy with his request -- even though there were five blank spaces to put in present requests, the 4-year-old royal only wrote that he'd like a police car. He also circled that he had been nice this year on the pre-printed sheet and signed his name in big block letters. We're sure a police car will be a nice addition to George's beloved collection of toy trucks, but the real question is what does his younger sister, Charlotte, want for Christmas?! William was only in Finland for a quick two-day visit, but his hours there were jam packed. Not only did he speak with Al Gore about environmental issues and test out Google's virtual reality gadgets at Slush HQ, a massive European startup event, and sit in on English and coding lessons at a Finnish school, he also took time out on Wednesday to congratulate his younger sibling, Prince Harry, on his engagement to Meghan Markle -- brotherly jab included. "We're very excited, delighted for them both. We're wishing them all the happiness in this very exciting time," he told reporters. "Personally, I hope it means he stays out of my fridge and will stop scrounging my food, which he's done for the last few years!" "It's a fantastic process to go through, the engagement and then the buildup to the wedding, so they've got a lot of happy times ahead of them, and I think they're both caught up in the moment and I wish them all the happiness and success in planning the wedding. I hope it goes really well," he added when the reporter noted that Harry and Meghan look very in love. Meanwhile, William's pregnant wife, Kate Middleton, visited a museum in London on Tuesday, where she also expressed her excitement for her brother-in-law and future sister-in-law. Kate Middleton Gardens With Local Schoolchildren While Prince William Travels to Finland: Pics!